We believe that, in order to take full advantage of the Storms River experience when staying with us at the Tsitsikamma Village Inn, our guests should take the time to explore the beautiful area we call home. We often encourage our guests to visit the Tsitsikamma National Park for its rich history, and we have found some of our favorite facts about the park and our location as a whole for our guests to understand why visiting the park is so special. The Tsitsikamma National Park forms part of the greater, well-known Garden Route National Park, an area covered by large areas of indigenous forest. The Tsitsikamma National Park is the largest marine reserve in South Africa, as well as being home to an indigenous rain forest that harbours 116 types of giant tree including the giant Outenique yellowwood trees. 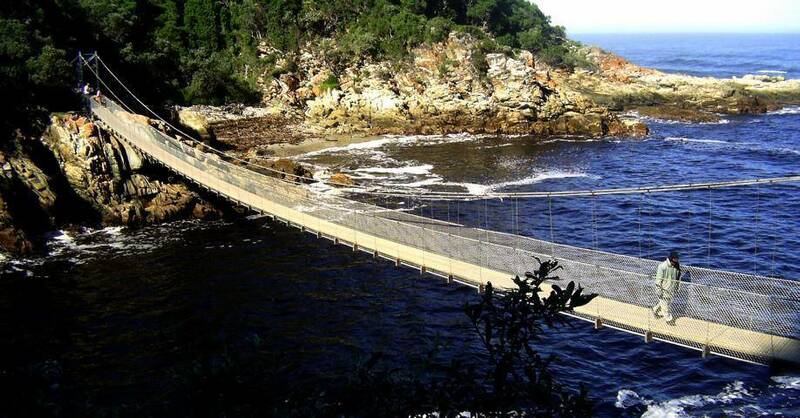 The Tsitsikamma section of the Garden Route National Park hosts the world-famous Otter Trail - a five-day hike where the Tsitsikamma Forest meets the Indian Ocean, and is 42km in distance. The Tsitsikamma area is also home to the Dolphin trail, and is claimed to be the easiest route to hike through the Tsitsikamma Forrest, and is 17km in distance. Storms River is one of the best places to go snorkelling or diving in the country, as you can expect encounters with anything from sea urchins, sponges and anemones to sharks and endemic fish that occur nowhere else in the world. In earlier days, Storms River was where local adventurers hunted elephant and buffalo. This was the inspiration behind the well-known Hunters Pub in the Tsitsikamma Village! Thomas Bain was the builder commissioned to construct a road through the Tsitsikamma in a bid to connect Port Elizabeth with Cape Town. He was responsible for the planning and construction of more than 900 km of roads and mountain passes, many of them still in use today. The N2 route between Port Elizabeth in the Eastern Cape and Nature’s Valley in the Western Cape is about 230km, and if you were in a hurry you’d probably do the journey in less than three hours. However, taking your time lends to unexpected surprises and treasured moments. Today, the area of Storms River is home to the highest commercial bungee jump in the world – Bloukrans Bridge. The Tsitsikamma Village Inn is proud to call this area home, and we are happy to advise our guests on the best sights, sounds, and adrenlaine-filled spots during their stay with us.